Mummy, Wife and Chaos: I'm the Next Blogger of May! Happy would be under statement. I'm really chuffed and so proud of myself that my blog has been noticed by a store such as Next after only a few months of diving back into the world of blogging! 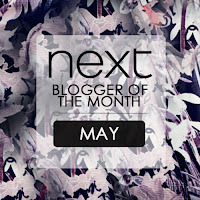 First of all thankyou to everyone that reads my blog and a big thankyou to Next and all their encouraging feedback I get! You can find my interview with Next just here! (You will need to use the desktop version of Facebook) or read on! This Tiger t-shirt makes a dressed down look that bit funkier, worn with harems and flats or these monochrome wedges and skinny boyfriend jeans it's a comfy versatile top. The cream Antik Batik Kaftan has beautiful detail to the back and will look great with jeans, layered over a slim maxi or even alone over a bikini on the beach! The long lace cover up may look like a beach only item but again it can be worn over a slim maxi dress, bikini or with a vest underneath and jeans! If you are a new reader then thankyou for stopping by and please do take a few minutes to mooch over my past blogs! For anyone who likes what you read here on my blog please take two seconds to nominate me for the Newcomer Blog Award in the Cosmopolitan and Next Awards here. It literally takes seconds to enter my url (www.tryingyummymummy.blogspot.co.uk) and I would be very thankful. If you had problems launching the interview link, you can read it below also! 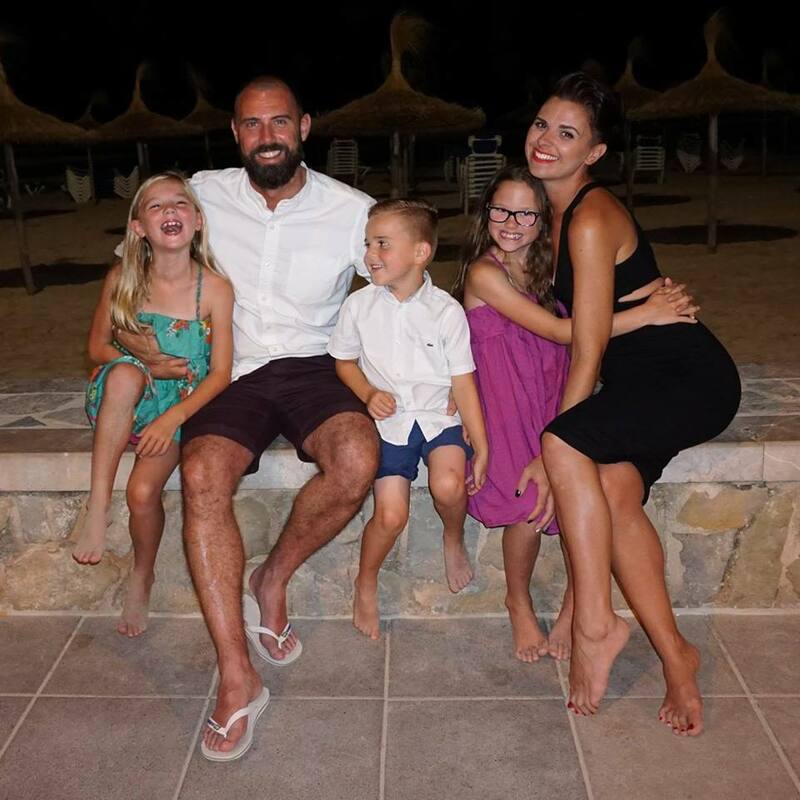 Congratulations to this month's Blogger of the Month, Hollie from the blog Mummy, Wife and Chaos! Check out her interview below to learn about her blog and of course her top blogging tips! 1.When did you start blogging and what encourage you? I originally started blogging when my son was younger for a pushchair company, that led to a great job so the blogging stopped. I'm now back at home and my friend was nagging me to start blogging again, so I did! That was back in February this year and I'm really enjoying it. All the positive comments from family, friends and online readers spurs me on. 2. Who is your blog-spiration, what blogs do you read for inspiration? I guess my blog-spiration comes from a group of fellow fashion bloggers who I look to for advice and support. They are all on my blog roll. Blogs that I find inspiration in and enjoy reading include www.lovely-pepa.com and www.itsnotthatdeep.com in particular. Although american their style is most like mine. 3. You have previous written great posts featuring Next products, will you be shopping at Next more? Oh yes, there's lots more to come yet! I find that things I pick in Next are often my staple items that I mix up with lots of looks, they don't date either. My wardrobe is mostly Next and Topshop so keep your eyes peeled for more! It has to be Gwen Stefani for my daytime looks, she's not afraid to mix up styles and has the edgy look that I love. For evening looks it has to be Audrey Hepburn and Grace Kelly, they oooze glamour which on a nightout is a must! 5. What is your top tip for other bloggers? I have so many, but I guess patience. If you work hard your blog will get noticed. Be true to yourself too! 6. Where do you go to write your blog? Everywhere and anywhere! Literally the whole blog is done with my phone. From the pictures snapped by my eldest daughter to the publishing of a post. You'll know when I'm busy out and about as the posts are shorter! 7. If you could blog from anywhere in the world, where would it be? Tough one! If it's my husband and I alone its got to be either Rome or Venice as Italy is simply beautiful and so special to us. However if my kiddies were along for the ride it would have to be back in Disney as I am a big kid at heart! I am constantly on the go and struggle to relax so a beach far away wouldn't be very entertaining for me! A wife and mummy! The title of my blog makes that obvious I guess but I have three children aged 7, 5 and 3 to keep up with. 9. What are your top five favourite items from Next this season? Ooh hard to choose just 5! 10. What is your blogging soundtrack? Because I'm always on the go I don't really sit and listen to music, but my children and I love a good boogey and sing along to Rudimental- Waiting all night and right now I'm in love with Daft Punk feat Pharrell Williams new song Get Lucky. Its fab! 11. Do you have a secret talent, if so, tell us? It was writing until this blog was born! I've always loved writing. Other than that I was a hairdresser at Toni and Guy pre-children and I'm not to shabby at cooking! 12. I have noticed you also write about beauty – do you prefer writing about fashion or beauty? I prefer fashion as quite frankly my beauty regime is laughable! However I love make up, especially bright lipsticks. My Mum used to tell me when I was younger to never leave the house without lipstick. I used to think she was crackers but now I've three of my own to chase after I can't leave the house without it alongside my sunglasses. As long as I have those and my clothes I'm a happy girl and feel I can take on the world. 13. We are slowly reaching Summer (YAY) What is your favourite summer look? For me it's going to be mostly printed trouserd and midi skirts worn with colour block tops, statement necklaces and gorgeous sandals. I love maxi dresses and skirts but chasing after three bike's in them isn't such fun! Oh and a bright cross body bag! Congrats on Blogger of the month with Next!! You must be so chuffed. Love your blog, I've followed via bloglovin and look forward to your next post. We should try and arrange a get together with a few of us!